You can find this theme coming up alot of time in the book one of the symbols that is representing this theme is the treasure map. If he wouldn’t of trusted the map that it actually leads him to a village, he would of died on the island. A nother symbol of this theme is all his friends. They all needed to trust each other that they won’t do some thing wrong. At the end of the book a person in the village catches a octopus but dosen’t cut it correct then almost the entire camp got sick they almost killed each other with stabbing. If you don’t trust your friends then you won’t be able to survive long on the isalnd they where on. On the same island there where drug dealers who hade marijuana plants they hade heavily equipped army people so if they wouldn’t of trusted each other they would of never survived. I personally think that this book is amazing in the way the author alex garland has written this.It was really emotional and grabbing when you stared ready you didn’t want to stop because it was so hooking. I didn’t acutely know that there was a movie of this book but i think you should read the book first and then see the movie. One of the best parts of the book i thought was when they where stabbing each other and then realised that it was wrong what they where doing. You all should go and read this book. .” Tripme. Max, 8 Dec. 2013. Web. 14 Nov. 2014. The book is about a boy who lived at the mountains in Norway in a little village . 120 km away from Sweden “Just Before dawn april 9, 1940 Nazi Germany invaded Norway” Now they live off the boy changed. You weren’t allowed to say any thing bad about the nazi if you do you will get in jail or you will die.When you where traveling they where checking your rucksack. The boy got in to a underground organisation where he delivered new paper witch told the bad thing’s about the nazi. He started to know a lot of people underground so soon he got way more imported thing’s todeliver.His friends help him to deliver the importend thing’s. Every thing seems to be going ok.But then it changes his friends get killd and some of them even got cacht and needed to go to the jail. He knew that he is the next on the list they wan’t to kill hi. He stared to escapee from the German soldiers.But they are right behind him. One of the connection from the book to the real world is Traveling At the time Norway wasn’t really fun to travel.Because you got check on the train station on your way home allmost every where you go. I think the connection”Traveling” is really similar to the real world.Because in some parts of the world you still get check’t in some part’s of the world you aren’t even allowed to move away from your country.I don’t think it is nice if you get check’t on every singel meter you take. In the book the villagers from norway needed to give the good food like potatoes to the nazi so they only had good food one time in the month or some families only once a year. So good food was really hard to get .I think you can connect that with the real world because in some part’s of the world for example china is giving north korea food every day because they are scared of getting attacked from the North Korean Army. Well, I think the values come from our heart and friends ,school,family books,movies … , they are taught by our parents, grandparents, teacher or the society in general. Values are the behaviour that we expect of other people, how we think people should behave or how we want other people to do things. Do you know that when you see other people and you say hello and they aren’t saying hello then that is not nice, they don’t respect the other people. So, respect is a value. And here is another one: sometimes some people are really singing really loud so you can hear them from far far away. I think they can sing a little bit more quiet that will be nice and when they are doing that I think they are showing respect . So here is a screen shot of a wordel with lots of values that I think are the best in my opinion. So, please look at it! In English class we started to explore movie shots. I think this will be a nice English unit! We already did some filming and I took some screen shots from the film and will show you some different angles of the film camera .When you think about it there are a lot of different angles you can take in a film. Here are the pictures. This is an angle where you are geting closer to the boy and seeing where he is looking. In a movie I think it is interesting when something happens and then you see the back of a person, you feel like you’re coming near the person and then you see what he is seeing, a murder perhaps…! This picture is dramatic because you are looking up from the the feet of the person. In comic films like Batman or Superman they use this because it looks like as the superhero is strong and powerful or you maybe think it is like a Darth Vader in Star Wars or villains in movies like James Bond. I am waiting with excitement for a film stating we Will look Indiana Jones and the Raiders of the lost Ark . 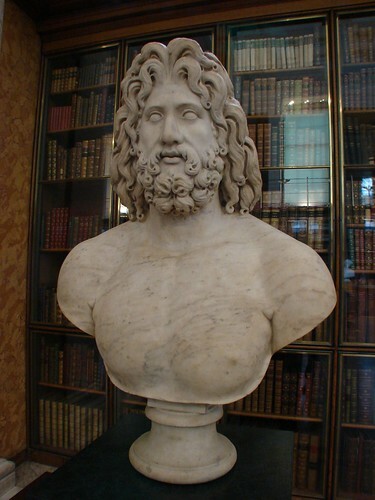 Zeus is the King of gods and men. Zeus is the lord of sky supreme ruler of the gods known for throwing lightening bolts. His brother Hades is the King of the Underworld and Poseidon the king of the sea. Zeus, Hades and Poseidon are the children of Cronus and Rhea. He is Ruler of the Underworld and the dead. 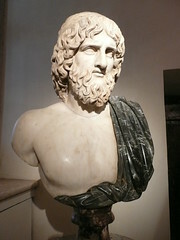 Brother of Zeus and Poseidon. In the Wikipedia entry for Hades, it says he “had a helmet which rendered its wearer invisible”. Hades is the oldest child of Cronus and Rhea.